Fast Friends is so grateful to you for opening your heart to the retired racing Greyhounds and other sighthounds waiting for their forever homes here at the Adoption Center. Because of your support, each one will receive healthy food, top-notch veterinary care, and all the care and socialization they need to move on to the next chapter in their lives—that of being beloved family companions. In addition to making a donation or giving monthly as a Greyhound Hero, you can help the Greyhounds by volunteering, attending events, or starting a Facebook fundraiser. Do you have an idea of how to help the Greyhounds? Please reach out to us with your ideas at info@fastfriendsgreyhounds.org. Thank you for caring about the Greyhounds! All proceeds from our Doggy Daycare, Boarding, Grooming, and Hydrotherapy services go directly to support the Greyhounds and other sighthounds waiting for their forever homes at the Adoption Center. Remember Fast Friends the next time your pet needs a bath or a place to stay while you're out of town. Our rates are competitive with other area service providers, and your fee will help with the care of the Greyhounds and other sighthounds. 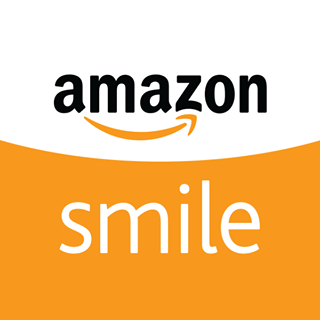 Sign up for Amazon Smile and chose Fast Friends as your charity of choice, and we will be eligible for a percentage of your purchases, at no extra cost to you! Amazon Smile is a great way to make the shopping you're already doing benefit the greyhounds. Would you rather shop directly with a merchant? Try, iGive.com, an app or browser button that lets their network of over 1700 merchants know that you would like a percentage of your purchase to go to a charity of your choice. Just download, select Fast Friends, and shop! Download the Woof-Trax Walk for a Dog app, and you can raise money for Fast Friends while walking your dog. Just download the app and select Fast Friends as your cause. Then, when you’re ready for your walk, open the app and click "Start Walking." You’ll be earning money for the Greyhounds with every step you take!